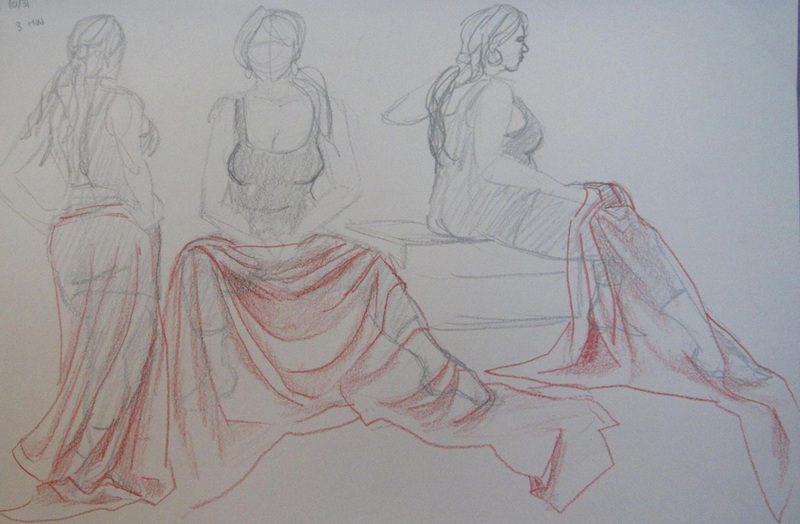 Three minutes for a quick sketch of the model. Three minutes for the drapery we put on her after. 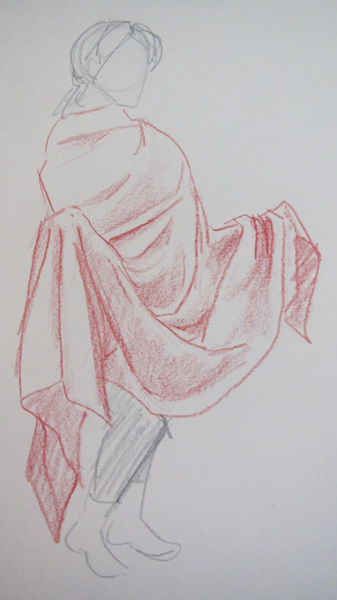 Drapery is fun.